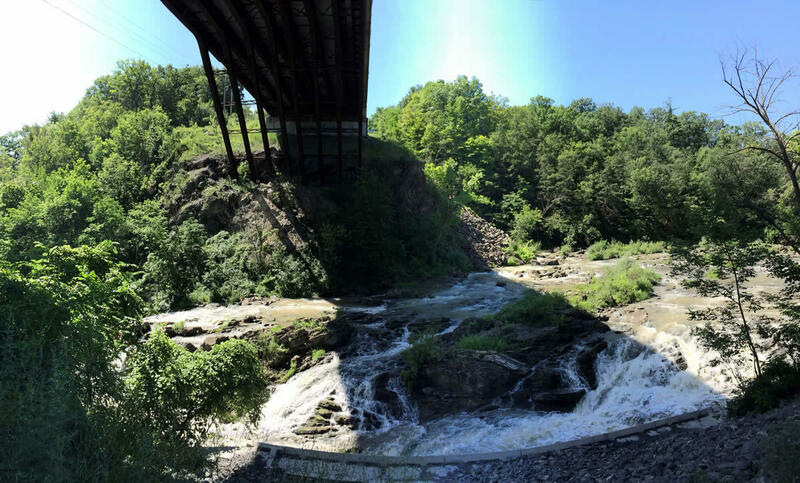 + The Helderberg-Hudson Rail Trail is owned by Albany County and follows the path of a former railroad line. + The path stretches from South Pearl Street in the city of Albany west through Bethlehem and ultimately to Voorheesville, a total of 9 miles. Of that entire length, 5 miles is currently paved from Albany to Slingerlands. + Just how popular is it? Well, that can be hard to pin down exactly. But when the the Capital District Transportation Committee surveyed trail usage in the region in 2016, the Helderberg-Hudson Rail Trail registered the fourth highest-usage point of any trail: 164,073 at the Hudson Ave intersection in Delmar. (Points on the Mohawk Hudson Bike-Hike Trail occupied the top three spots.) And the usage has probably increased since then, as CDTC senior transportation planner Jennifer Ceponis told us recently. Albany County officials have been talking about paving that last segment of the rail trail as far back as 2016. Where the pavement ends in Slingerlands. The old depot building is in the background on the left. One of the issues involved in getting that last segment of the trail paved has been straightening out the situation at the trailhead in Slingerlands. And last November at a public meeting in Elsmere, officials gathered public input on how to go about taking on two issues there. First: The parking lot. Albany County has been working with the engineering firm Creighton Manning to reformat and pave the parking lot on Kenwood Ave just short of New Scotland Road. McCoy said in a statement the county is still working with Creighton Manning on the finalizing the design. "We have incorporated opinions from the public, such as pedestrian access, to ensure community involvement. Designs should be completed this summer," he said. Second: Property purchase and the depot building. On the west side of the Slingerlands trailhead there's a spot where the trail passes between an old railroad depot building that dates back to the 19th century and a home that faces New Scotland Road. You might remember that this spot had been a point of conflict with the property owner about through access for the trail. The county had been negotiating with the property owner, and last December it purchased the properties for $200,000, according to records on file with the county clerk's office. 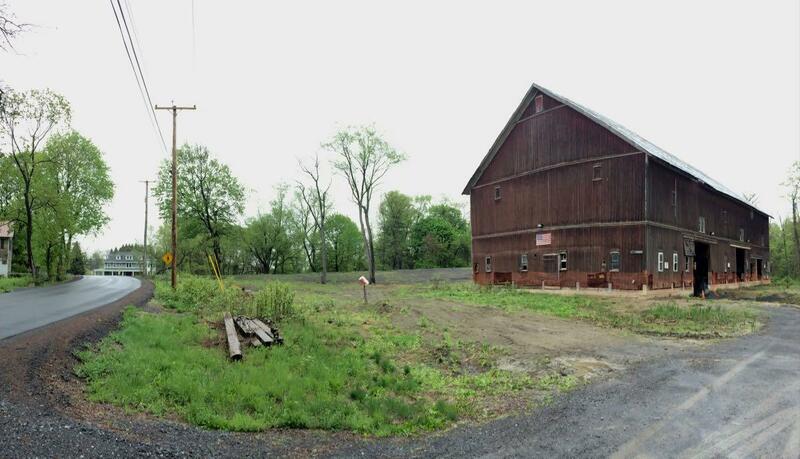 "Plans are being made to repurpose property purchased in Slingerlands to increase the available amenities on the trail," Dan McCoy said in a statement. "We're soliciting input from the public and other interested parties to see what will fit best. We're still in the planning phase." At the November public meeting people offered a range of ideas of how to use the depot building, which sits right next to the trail. The most frequently mentioned idea: bathrooms. The trail is already popular, and it's in line to almost double in length this summer. So now is a good time to be thinking about ways to enhance the experience of the trail for all those people. We had a chance to talk about that topic with Mark King, executive director Mohawk Hudson Land Conservancy, at the Capital Region Trails Summit at the Capitol earlier this month. He said he'd like to see areas along that trail, some of which have a very undeveloped and rural feel, made easier to access for people. "I think the greatest example of that is the Normans Kill ravine, where literally millions of people have driven over that ... and for the last hundred years you really couldn't get in there," King said. "Now you can see it. So we'd love to see new opportunities to develop preserves and places to go off of there." The Hilton Barn. The rail trail is just on the other side. "That's a great example of the kind of thing that we want to see, which is amenities and destinations," King said. "That's what's going to make these trails work -- having places where people can go, places that are interesting and unique." Toward that end, there's more art in the works. 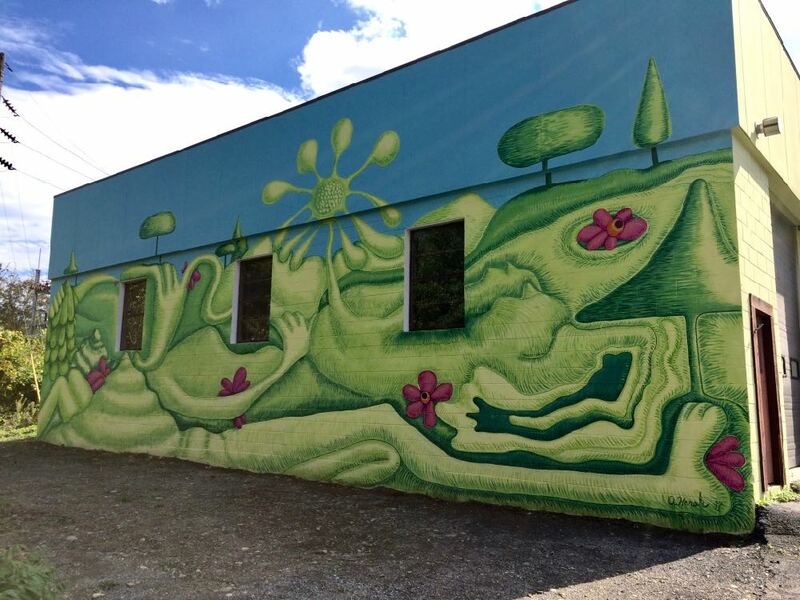 King said the land conservancy is planning some sort of art project for under the Cherry Ave bridge, along the lines of last year's mural project at Adams Street and Hudson Ave in Delmar. "It's a challenging spot, but hopefully one that will really spur someone's imagination." 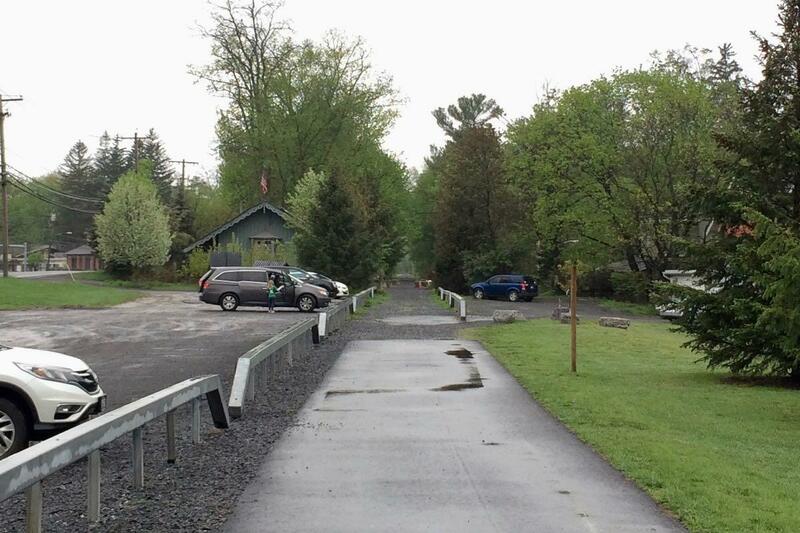 On its own, the Helderberg-Hudson Rail Trail is a good thing, and people certainly seem happy to use it. But the rail trail as part of a wider, interconnected system of similar paths could be something on a whole different level. 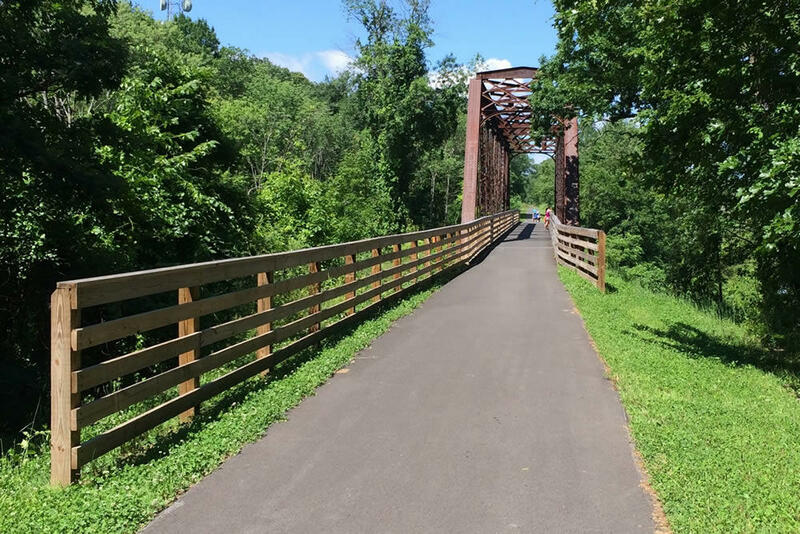 "Our region and our trail system has a lot of opportunity," the Capital District Transportation Committee's Jennifer Ceponis said while talking with us about the rail trail. "When you look at the map, there are really short distances between where one trail ends and a new one starts." For example, the Albany end of the Helderberg-Hudson trail is only about two miles south of the start of the the Mohawk-Hudson Hike-Bike Trail on the Albany riverfront. And there's a plan in place -- the Albany Waterfront Connector -- to create a bike route between those points. When that happens, it will allow people to ride a bike across many miles and to many different destinations in the area and most of that distance will be on a bike path. 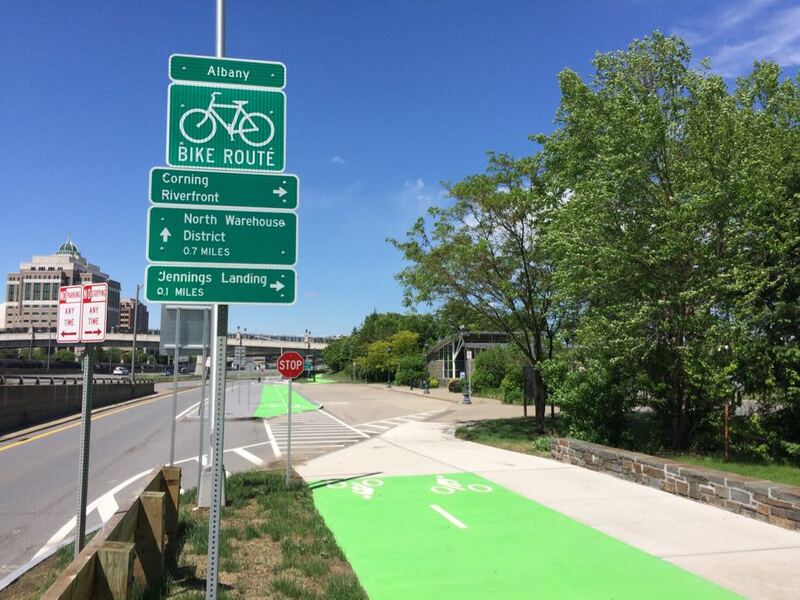 And there are other projects on the way -- notably the Albany-Hudson Electric Trail and the South Troy Riverfront Bikeway -- that will add to this potential regional network. It's just a matter of knitting together the larger pieces, and then providing local connection points. 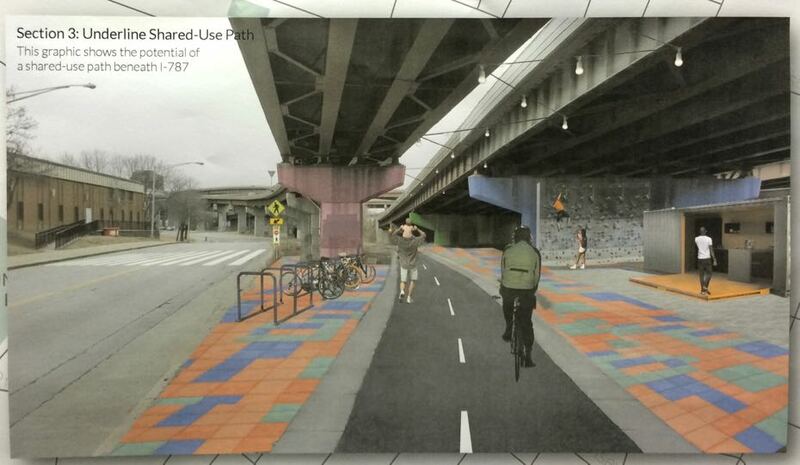 Part of the plan for the Albany Waterfront Connector includes a new multi-use path that runs through the space under 787. "It'd be kind of like an alternative transportation highway system for bicycles and pedestrians," said Ceponis, noting that there are already people who use the existing trails for commuting or day-to-day activities. "The more connections we make the more we'll see commuting trips by trail." Ceponis said some of the obstacles to cultivating this network include sorting out property ownership, getting adjacent property owners on board, and of course, lining up the funding. There's also the ongoing effort to raise awareness about these trails and encourage people to use them, especially beyond the spandex-clad crowd of enthusiastic cyclists. "We want to make sure the opportunities are being shared," she said. "We want people using the trails and hope people can see a different side of their community by using the trail." One of the topics that bubbled up a few times at the Capital Region Trails Summit was the challenge of regular maintenance for bike and walking paths, especially as they age. For the Helderberg-Hudson Rail Trail, Dan McCoy said in a statement that the county purchased a specialized mower last year specifically to maintain the trail. But much of the light maintenance is currently provided by volunteers. The Mohawk Hudson Land Conservancy's Mark King acknowledged the role that volunteers can play for trails. But: "I think the ultimate answer is to look at these things as part of our transportation system. We need to maintain roads -- we need to maintain trails and bike paths. It's just gotta become a routine thing." I frequently find myself along this trail on Sunday mornings, hungry, & very little is open. There's a lot of talk about special mowers & building bathrooms & that's nice, yes, let's do that, certainly. But *right now* people using this trail are hungry & want to buy food & drink (& use the bathroom, as a paying customer): if the businesses that are already there were OPEN it would go a long way to providing amenities & destinations. That said: BIKE RACKS, please. Ethan - spot on. Have you contacted any local chambers of commerce or business associations? Yelp is also a way to give direct feedback to businesses. One thing that may help is directional signage on trails that identify business near the trail - like on the highway. Perhaps the land conservanc would be willing to construct a template? I’m looking forward to more businesses near the trail to recognize how much it could benefit them. Stewart’s certainly does, and this one is opening, but other parts of the trail could use destinations. We've been getting the kids out on the trails a lot lately. Bathrooms and drinking fountains are always great, but so are "destinations" within the trail system. It's great to get out for a nice long run while kids are in jogging strollers, but it's even better when we can stop along the way at a playground or somewhere to interact with nature (throw rocks into river, open field, etc). We look forward to it and then so do the kids. Bonus points, like an above commenter said, if local businesses are involved (grab an ice cream or snack after spending a few hours there). How about turning the Hilton Barn into a craft brewery spot? Would be great to have road and bike access there - nothing like a long ride that ends at a brewery! Plus the Barn has road access to help sustain the spot year-round. I use the trail regularly. Connecting it to the Mohawk Hudson Bike trail is a must. This is the most dangerous and least enjoyable part of my ride. I rode to Voorheesville yesterday and paving this section sooner rather than later is a must. This is a terrific asset in our community we must continue to look for way to improve it to increase use. I would like to see an access point at Rockfeller Rd, and a rehab of the bridge to the Normanskill Preserve. Looking at the map, is it possible for the trail to continue along those (former) tracks and head through guilderland and into schenectady? (or are those tracks still active freight lines?) or continue to Altamont? Would love to see some water access. How about fountains along the trail or at trail heads in Slingerlands and Voorheesville. There’s a portapotty at the VVille pavilion but no water fountain! Plus 1 on access at Rockefeller Road so we don't have to walk a bike down a steep rocky cliff. And how about tidy up the mess near Adams street. I know you want to force cyclists to stop and yield to traffic but pave the rocky gravel path you created up to the intersection. Road bikes don't do well on gravel. We should be able to ride right up to the intersection, unclip, stop, make sure there's no cross traffic, reclip and start up without a walk a bike section. JSC, those tracks are still in (occasional) use for moving freight from the Northeast Industrial Park. I'm a frequent user of this trail so it's wonderful to hear they're going to extend the paved section to Voorheesville this summer, but as noted above, the current gravel sections at the corner of Hudson Ave and Adams St need to be paved asap! This part of the trail is quite dangerous to pass on if you want to do inline skating. I'm surprised that they have left the trail in this state of disrepair for this long. Also hoping that the long term maintenance plan includes an occasional pass with a sweeper. The sticks, rocks, and foliage that collect on the trail also pose a danger for skating. Will have to drop these suggestions off with the right officials. Trees also need to be trimmed in some spots, as they are a hazard; the trail is too narrow to swerve around growth-one would be in the oncoming bikers' "lane". We duck and hope to not get swatted in the face too badly. I love the trail! The Normanskill rapids are a hidden treasure! How about some CDPHP bikes to rent along the trail when I don’t feel like lugging my bike out there in my car? It would be great to have a path connection to 9W, it would have to zigzap up the hill. @BS - there was a bike station on Broadway in Albany last year. Not sure if it's back there, yet. Perhaps a station could be added at Stewarts in Delmar. would be very popular.